EBANX in partnership with Founder Institute will help your business to grow globally. Founder Institute's alumni and mentors get 100,000 USD of payment processing without any fees to start selling to the Latin American Market. Exclusive benefits for Founder Institute alumni and mentors. 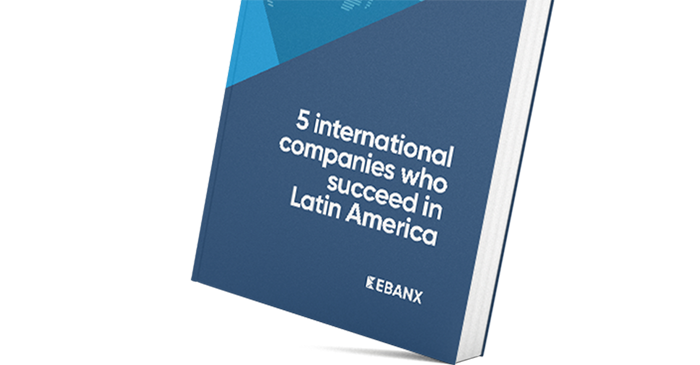 EBANX makes it easier for startups to break borders by offering local payment experiences in Latin American countries. Your chance to have an exponential growth in a non-saturated market, all for free. Accept more than 100 payment methods with only one integration. Expand you business without opening a local entity or leaving your office. Not a Founder Institute Alumni? The Founder Institute is the world’s premier pre-seed startup accelerator. They help you build an enduring company by establishing a support network of local startup experts that are invested in your success, and providing a structured business-building process that has helped their alumni raise over $800M. Make several years of progress on your startup in just 3.5 months, and receive a lifetime of support after Graduation. of annual growth in ecommerce market. online users in Mexico buy online on international websites. Is the amount of brazilian shoppers who already bought from international sites with EBANX. of online shopping are made with local payment options in Argentina.